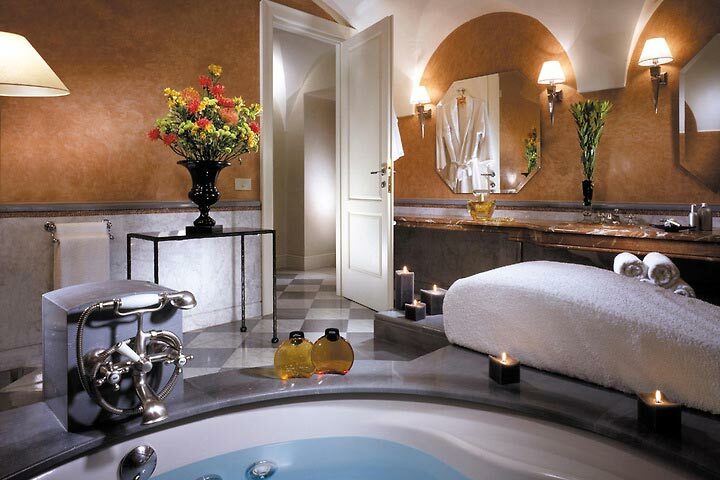 The Grand Hotel De La Minerve is set in one of Rome's most fascinating squares, right in the heart of the city's historic center, just 50 meters away from the Pantheon and within easy walking distance of Piazza Navona, the Trevi fountain and the Spanish Steps. 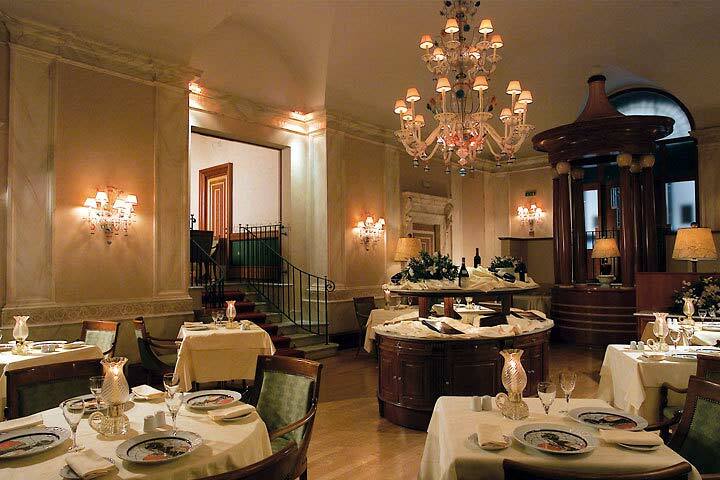 The fascinating building dates back to 1620 when it was built for Rome's important Fonseca family. The ancient palace was first transformed in hotel in the late 18th century and the Grand Hotel De La Minerve quickly becoming the chosen residence in Rome for members of the European Royal families, eminent ecclesiastics, intellectuals, politicians and artists of international repute, drawn to the property by its luxuriously appointed apartments and its vicinity to both the Pantheon and the Italian Parliament. In 1891, an exquisite Winter Garden with Liberty style glass ceiling, now the establishment's elegant hall, was built in the inner courtyard of the Grand Hotel De La Minerve. 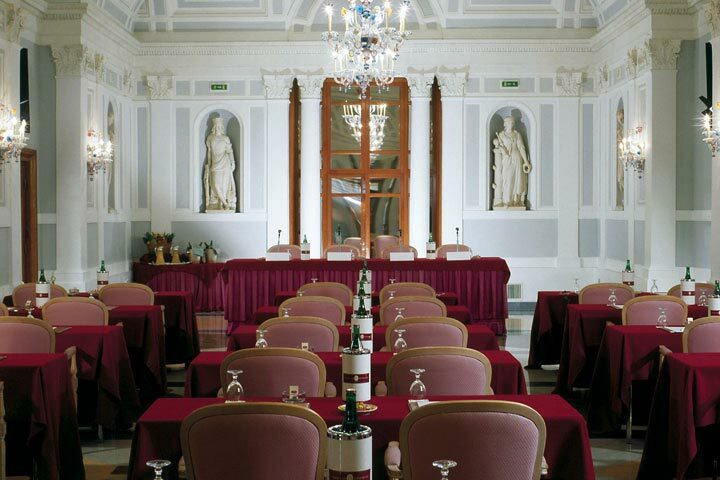 The hall is dominated by a stunning marble statue of the Minerva by the renowned 19th century sculptor Rinaldo Rinaldi. 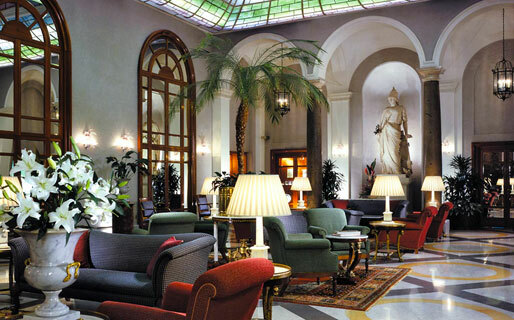 Other works by this great Italian artist, prodigious student of Canova, can be admired in the hotel's Salone Olimpo. 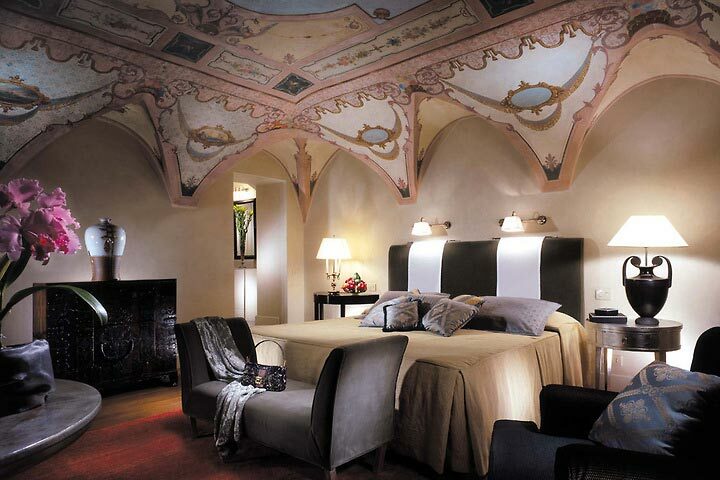 The Grand Hotel De La Minerve, a superb 5 star luxury hotel seeped in history and art, has a total of 135 spacious guest bedrooms and suites all beautifully furnished and equipped with every modern amenity. 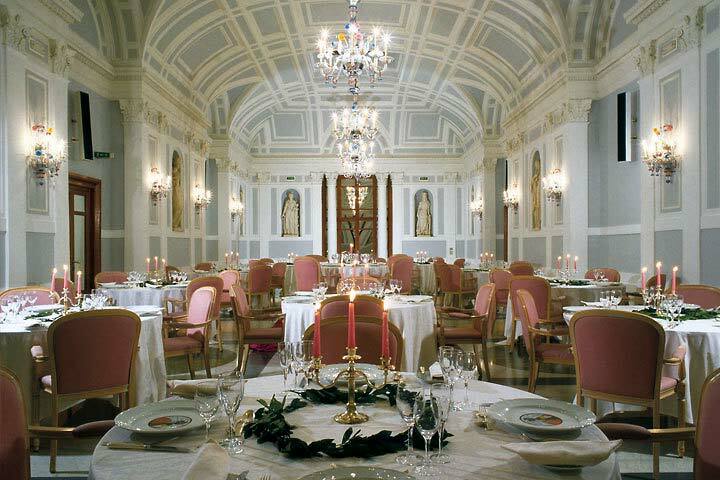 The Grand Hotel De La Minerve's "La Cesta" Restaurant serves excellent Italian and international cuisine in its elegant dining rooms. In the warm summer months dinner is served on the hotel's panoramic Roof Garden, accompanied by live music. 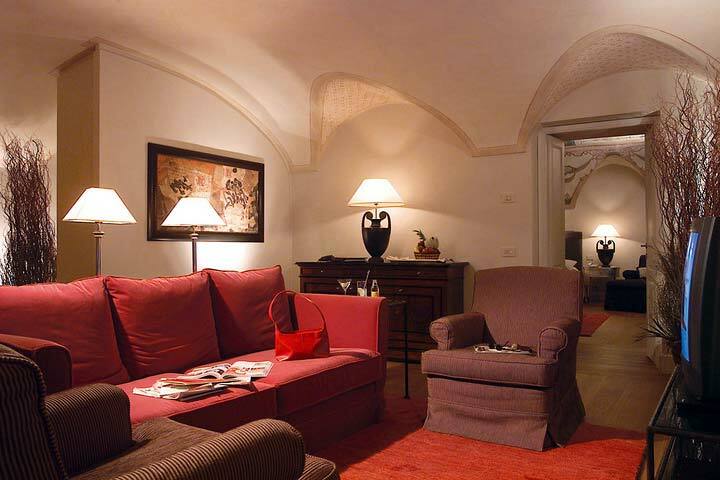 From the terrace of the Grand Hotel De La Minerve, guests are granted a truly exceptional vista of some of Rome's most important monuments; sweeping over the Pantheon, the dome of the church of St Ivo, and the roof terrace of the Quirinale. 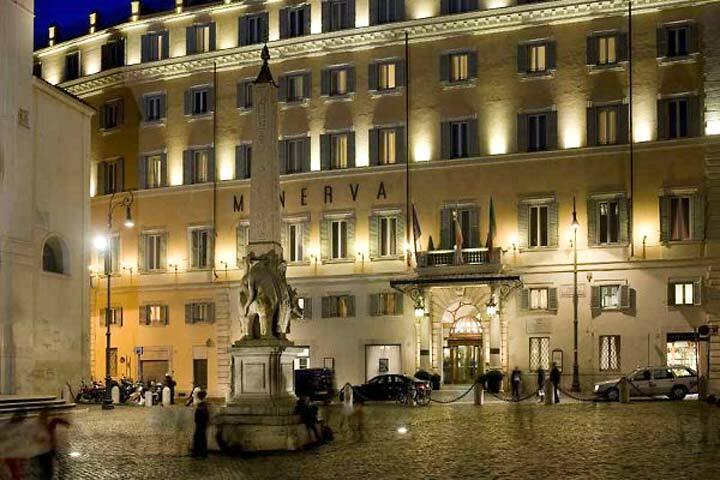 The Grand Hotel De La Minerve is setting facing one of the Rome's most fascinating squares, where guest can admire Gian Lorenzo Bernini's "Pulcin della Minerva", between the Pantheon and the Church of Santa Maria Sopra Minerva. 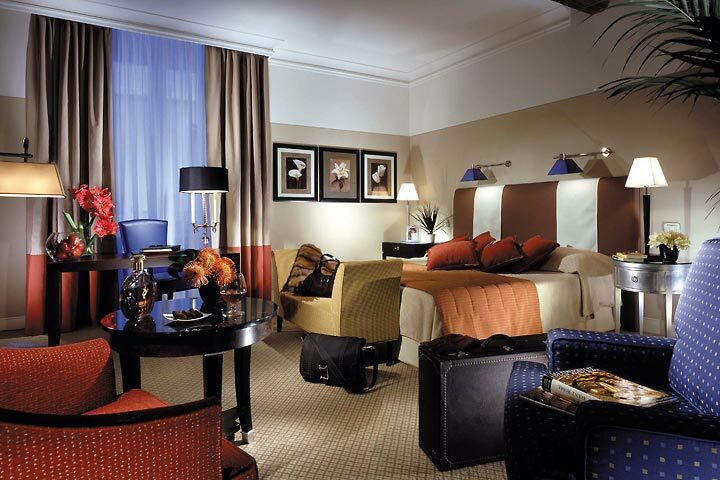 The hotel is located, in the heart of historical Rome, close to the Pantheon, the Trevi Fountain, Piazza Navona and the Spanish Steps.